The French Friends of Tel Aviv University held a gala dinner honoring Maurice Levy, Chairman and CEO of Publicis Group, at the City Hall of Paris (Ĥotel de Ville), the home of the city’s municipality since 1357. The event was held under the auspices of Mayor of Paris Anne Hildago, who recently visited TAU with a French delegation. 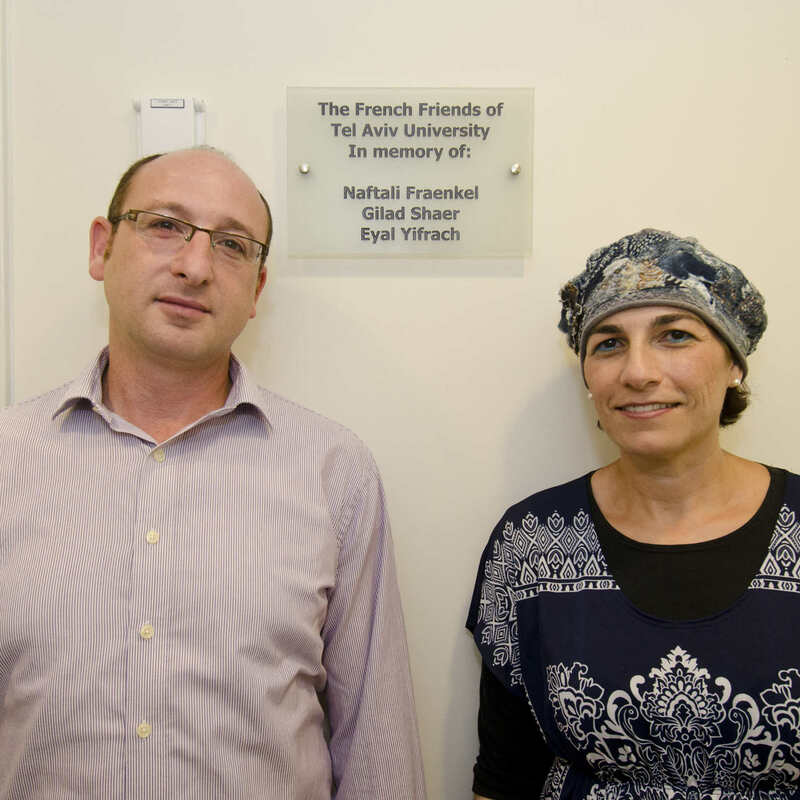 During the evening, Ms. Hidalgo was presented with the President’s Award by TAU President Joseph Klafter in acknowledgement of her pivotal role in enhancing Israel-France relations, her endeavors to combat anti-Semitism in Paris, her valued support of the French Friends of Tel Aviv University and her warm friendship toward the State of Israel and the Jewish people. Attendees included Deputy Mayor of Paris Patrick Klugman; President of the French Friends of TAU Prof. François Heilbronn; TAU’s President Joseph Klafter, Vice President for Resource Development Amos Elad; and Dean of the Faculty of Management Moshe Zviran; as well as ministers, senators and Members of Parliament, ambassadors, scientists and parliamentarians. Mr. Levy was awarded a TAU honorary doctorate for his achievements as one of the most influential figures in France and in the worldwide media industry. He was cited for his entrepreneurial acumen in transforming the Publicis Group from a regional advertising agency into the world’s third largest communications conglomerate. “We are honored, privileged and delighted with Maurice Levy’s engaged role in our French Friends Association and for his support of TAU’s Faculty of Management,” said Prof. Klafter in his greetings. 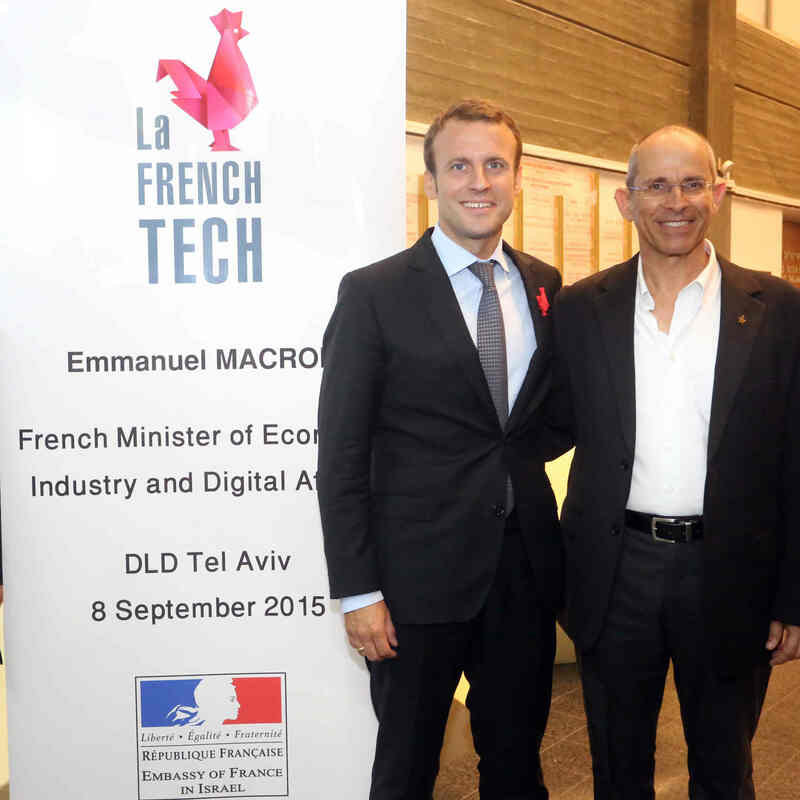 Prof. Klafter noted that French President Francois Hollande’s visit to Tel Aviv University two years ago had led to the appointment of a special officer in charge of French-Israeli innovation and technology partnerships, based at TAU. “We were the first university in the world to host such a partnership office,” said Prof. Klafter, noting that it had already led to an investment by the French Railways in TAU’s transportation accelerator. Prof. Klafter paid tribute to the French Friends, enumerating the many projects they have supported on campus, including for Ethiopian students, combat reserve soldiers, medical research, dental treatment, psychology and mental health, theater, architecture and French studies. Prof. Klafter also noted the cooperation between TAU and Sciences Po, with the Sorbonne and now, with the help of Mayor Hidalgo, with Ėcole Supérieure de Physique et de Chimie Industrielles. TAU laboratories and researchers are pursuing 35 joint projects with French institutions, with research grants from France totaling 12 million euro. Prof. Heilbronn spoke of Mr. Levy’s (pictured right) longtime public crusade against anti-Semitism in France, which he fought in the media, “challenging politicians, media, intellectuals, and even French leaders for their silence and denials.” For this, he was awarded the International Leadership Award of the Anti-Defamation League in 2008. He also spoke of Mr. Levy’s love of Israel and his significant role in Israeli politics, as advisor to Israeli prime ministers and participant in the Camp David negotiations. 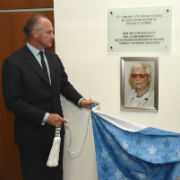 As an active member of the Honorary Committee of the French Friends, Mr. Levy screened films at Publicis movie theaters made by TAU film graduates, hosted professors and seminars, taking part in scholarship awards, and otherwise has given generously of his time in benefit of the University. Dean Zviran said that TAU’s Faculty of Management had recently been ranked by the global rating organization, Eduniversal, in first place in one of nine geographical regions around the world. It was also awarded five palms, a distinction given to the top 10% of business schools including Harvard, Yale, London Business School and INSEAD. Prof. Zviran noted that the Faculty was outstanding in the fields of marketing and information technology – “a combination that has made the School a natural match with Mr. Levy. “When he came to our School two years ago to deliver a fascinating talk on marketing and communication in the digital age, we knew that it was love at first sight,” said Zviran. “It signaled the beginning of a long and lasting friendship between the School of Management and Publicis, but especially with you, Maurice,” he said.